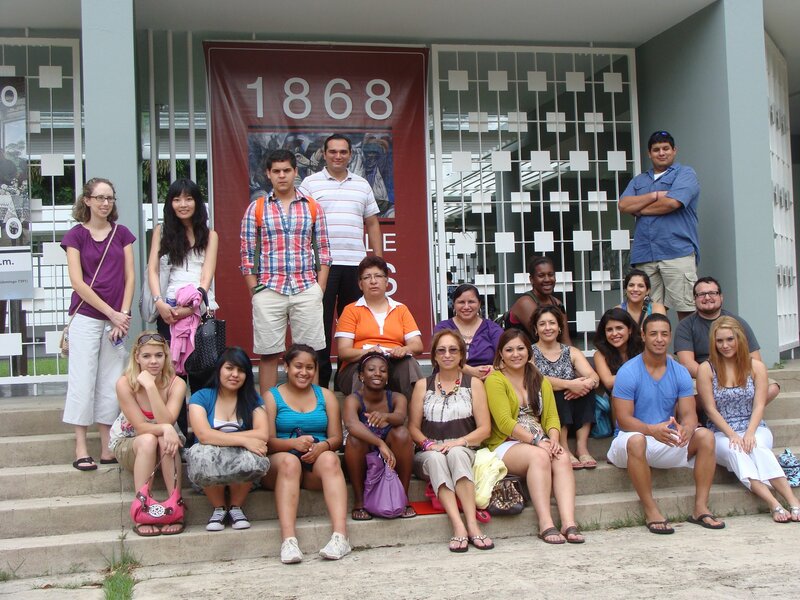 Coastal Bend College’s summer intensive Spanish course offers students the opportunity to spend two weeks in the beautiful Puerto Rican city of San Juan, study Spanish at the Institute for Second Language Acquisition, live with friendly Puerto Rican families, make excursions to interesting sites across Puerto Rico, experience life in a foreign environment, and enjoy 85 degree weather. Coastal Bend College Spanish and sociology students spent two weeks in Puerto Rico studying culture, language and ethnography. Those who took the trip are, top row from left, Jennifer Roberts, Vera Wang, Homero Garza, CBC Spanish Instructor Dr. Emmanuel Alvarado, and Roberto Lopez; and in the middle row from left, Suzane Nunez, Samantha Salinas, CBC Sociology Instructor Kelly Rea, and Dariela Ramirez; and in the bottomrow from left, Macy Richter, Paola Serna, Bianca Rocha, Verita Gronuum, Linda Salazar, Missy Moreno Raymon Avelar and Ana Alyse Olivares. Small classes are for high school students, college students, Spanish teachers who need to renew their teacher certificates, and other adults who wish to improve their Spanish-speaking skills. Students can earn beginning- through advanced-level class credit for one or two semesters or first or second year college Spanish or Continuing Professional Education credits. 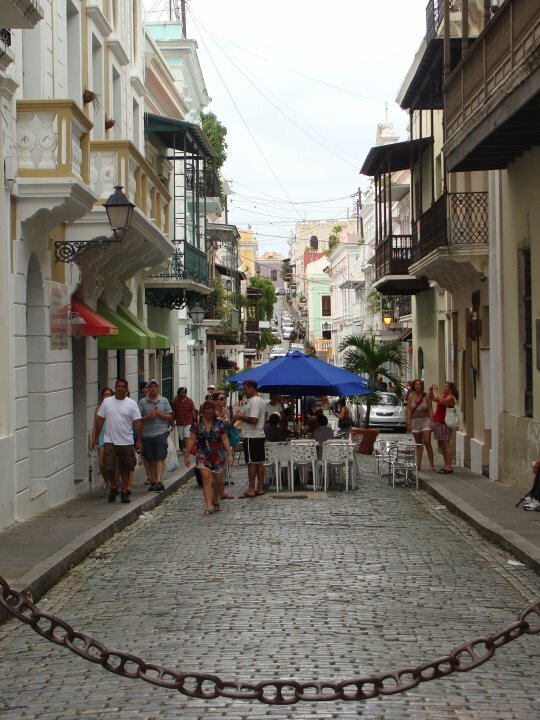 Students may also take “American Minorities” over the summer program to Puerto Rico.Because the ISLA offers classes for both teenagers and adults, CBC makes the class available to high school students who have passed their TAKS exit exams (or the equivalent) and to college students and adults of any age. Classes at the ISLA are available at the beginning, intermediate and advanced levels. Students may earn CBC credit for either semester of first year college Spanish (4 semester hours), either semester of second year college Spanish (3 semester hours), or for an advanced sophomore conversation class (3 semester hours), or Introduction to Spanish Literature (3 semester hours). Public school Spanish teachers may earn 48-60 hours of continuing professional education (CPE) credit toward renewing their teaching certificates. Dr. Emmanuel Alvarado, Spanish instructor at CBC, accompanies the group, supervises the Puerto Rico program activities, assesses student progress on a daily basis, offers out-of-class assistance in the language, administers the final exam for the course, and assigns the CBC grade. The group will fly from San Antonio to San Juan, where an ISLA representative will meet them in a charter bus and transport students to their host families. Airfare and registration for Coastal Bend College credit are additional. Airfare is approximately $460. If more, students will pay additional cost. $1,100 covers the ISLA tuition, room and board with a Puerto Rican family (with a roommate), excursions and two meals a day (breakfast and dinner). (1) CBC tuition is extra, ranging from $40 for Bee County high school dual credit students to $500 for out-of district students in a four-hour course. (2) Teachers who wish CPE credit for the entire program will pay $169 for that credit, in addition to the $1,100 ISLA total. (3) Teachers who wish CPE credit for the cultural portion only will pay $139 for that credit, plus $700 for room and board and excursions. (4) Participants who do not wish to receive any CBC academic or CE credit will pay a $40 continuing education fee, plus $700 for room and board and excursions. Bend College credit are additional. The Puerto Rico program application and your $500 payment to Coastal Bend College should be mailed to: Dr. Emmanuel Alvarado, Spanish Instructor, Coastal Bend College, 3800 Charco Rd., Beeville, Texas 78102. For more information or to sign up, contact Dr. Emmanuel Alvarado at (361) 592-1615 Ext. 4071 or emmanuel@coastalbend.edu.